Flourescent Blue 2:1 is a flourescent blue dye that is laked to form a light blue pigment. It can be used as a fluorescent brightener in formulations for Azure and Cyan. 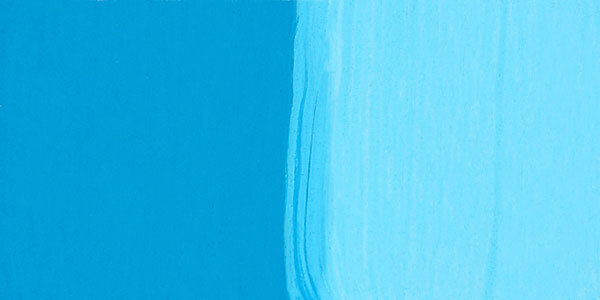 It does not have the overwhelming tinting power of Phthalocyanine Cyan. Flourescent Blue 2:1 is considered to have only marginal lightfastness. It is not recommended for permanent works of art. All flourescent dyes fade with exposure to sunlight or ultraviolet light. No hazardous warning labels are required for Flourescent Blue 2:1. FB2 dyes are used as brighteners in inks and paints. They are also used to color polystyrene.